In addition, an individual subscription includes 1Password on all platforms (even Android and Windows) and any updates during your subscription period at no additional cost. The main difference between the individual subscription and a family plan is that the individual plan does not include password and document sharing, permission controls, or account recovery for someone who gets locked out of their account. Although Agile Bits now has three separate 1Password subscription plans, you can still license a copy of each app without signing up for a subscription if you prefer. 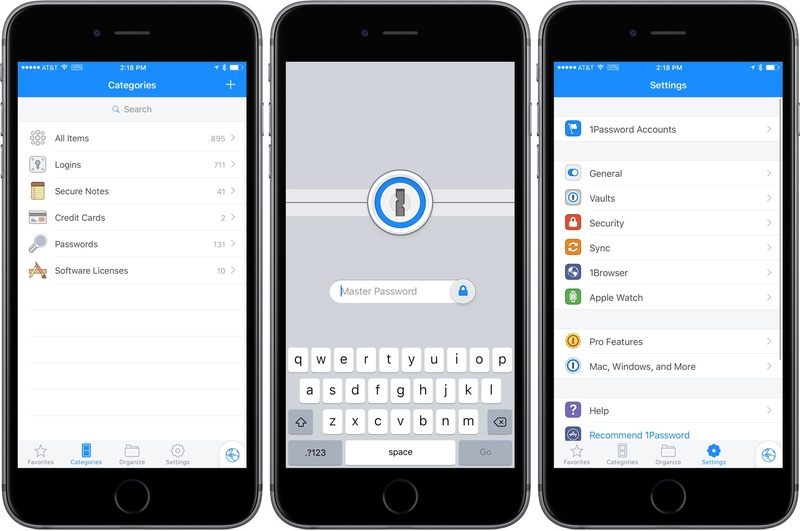 The Mac app will remain $64.99 and the In-App Purchase that unlocks the Pro features of 1Password for iOS will remain $9.99. If you do decide to sign up for the individual subscription and do so before September 21st, 2016, you get the first six months free. Agile Bits’ new subscription strikes a good balance. A 1Password.com account is backed by some serious encryption, but even so, not everyone wants to, or can, use a cloud-based sync solution for sensitive data like passwords, so it’s nice to see that you can still be license the apps separately. At roughly $36/year, an individual subscription is a good deal relative to the cost of licensing the apps separately, especially after you account for the unique features the subscription provides, and the fact that the first six months are free if you sign up before September 21st. App subscriptions are becoming a popular business model because they ensure recurring revenue that helps developers continue to maintain the apps they sell. As a longtime user and fan of 1Password, I’m glad to see Agile Bits moving to what I hope will sustain 1Password over the long term. I’m also happy to see that in implementing a subscription model, Agile Bits has not done so at the expense of providing its customers with choice and a great value. If you are not already using 1Password, I highly recommend you give it a try.